A new report by Canada’s largest association of petroleum companies projects that the country’s oil production will double to 6.7 million barrels per day (bpd) by 2030 as a result of increased production in Northern Alberta’s oil sands region. The outlook, published by the Canadian Association of Petroleum Producers, estimates that production in the oil sands will increase from 1.8 million bpd in 2012 to 5.2 million bpd by 2030, which would constitute over three-quarters of Canada’s total oil production. The largest market opportunities that will emerge from this increase in production will be in North America according to the report, by providing an alternative to foreign imports. 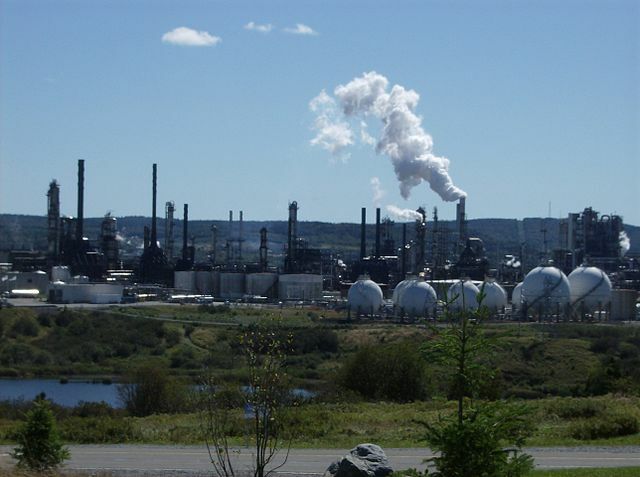 One of the major challenges for the country’s petroleum industry, says the report, is transportation of the crude oil to where it’s needed in other parts of North America, as well as to the country’s coasts where it can be exported to overseas markets. Rail transport is quickly becoming a more common way to meet these transportation needs. The report notes that 12,989 rail cars transported oil in February 2013, a 60 percent increase from February 2012. The increasing reliance on rail has been a reaction to new political obstacles hampering transportation infrastructure development. As cultural attitudes toward pipelines in Canada have deteriorated, two major political parties in Canada, the NDP and the Liberal Party, to different degrees, have come out against planned pipeline projects. With Canada’s oil pipelines reaching capacity and this new resistance to their expansion, the more expensive rail transport method is being seen as the next-best option. The rise in oil production is expected to have major consequences for Canada’s future fiscal health. 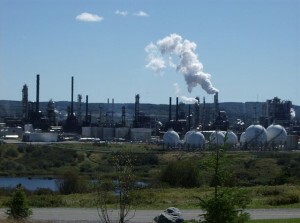 While most of the developed world is expected to face economic difficulties over the next several decades, due to increased government expenditures on social welfare programs for their ageing populations, revenue from the new oil production is projected to compensate for this economic burden in Canada. The Western provinces of Canada, where most of the new oil production as well as other natural resource extraction growth is taking place, are already becoming the bright spots of the Canadian economy, with lower unemployment rates and faster economic growth than the rest of the country. Alberta, at the epicenter of the resource boom, currently has the highest per capita GDP in the country. Neighboring Saskatchewan, another resource-rich province, meanwhile has the lowest unemployment rate in the country, and the second higher per capita GDP. The disparity in job opportunities between Western and Eastern Canada has led to the migration of tens of thousands of Canadians to the western prairie provinces, as well as thousands of immigrants, who are willing to brave the cold of the prairies for better job prospects.